When we serve a mighty God and He sends us brethren where they are most needed. We have been praying for a preacher of righteousness for years to serve the precious souls of the slums of Kibera, Kenya (Nairobi). The Lord sent us that brother a few months back and he is now an official GMFC partner! We are happy to announce our very 1st GMFC churche in one of the poorest place on earth, The Kibera Slums of Nairobi, Kenya. Pastor Joseph Otieno is the Kibera leader under the oversight of Pastor Moses Wafula of GMFC Bungoma Kenya. 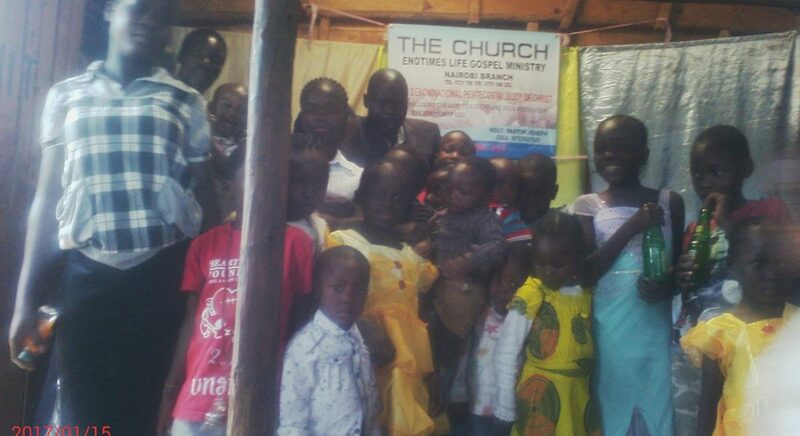 Below you will see pictures from the very 1st service (1-16-2017) as well as various pictures of the ministry including the very 1st children for the Kibera sponsorship program. Glory to GOD!